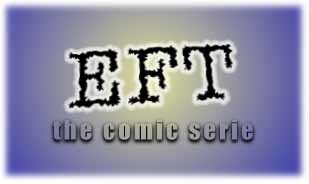 Since some weeks we are sure that EFT is a superhero. As others he also hides his other "self", but we can prove that he's not an ordinay programmer, he is EFT! These pictures are the first try. In the near future we'll make the comic more comic! :) So if you want to have fun, or get excited on interesting stories pop in here! EFT considers that someone on Earth has got a faster 3D engine than his. First he scared, but soon he discovered that it can't be, as NO ONE can make faster routines than HIM! The spanish inquisition is nothing! This story is just a usual EFT act.